Florida State Hospital in Chattahoochee, which had about 1,400 people staying inside, was left with only emergency radios as a means to communicate with first responders. 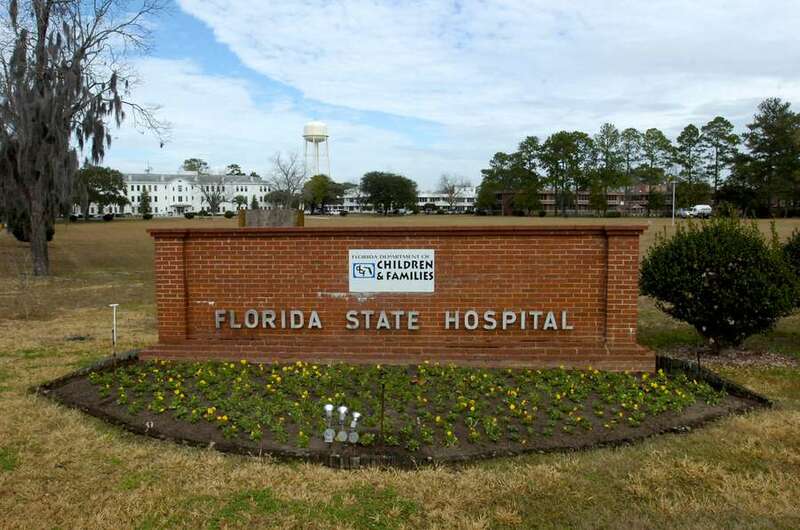 The oldest and largest psychiatric hospital in Florida was left inaccessible as Hurricane Michael carved its path across the Panhandle, knocking out power and ripping buildings to shreds. The storm's eyewall passed right over the town of Chattahoochee, leaving it and the hospital "entirely cut off," state emergency officials said Thursday. The hospital was not evacuated ahead of the storm. Florida State Hospital in Chattahoochee, which had about 975 residents and about 325 staff staying inside, was left with only emergency radios as a means to communicate with first responders. The hospital had backup power and water systems that were activated before the hurricane hit, Department of Children and Families spokesman David Frady said Wednesday afternoon. Staff were "staying at the facility and are well stocked with emergency supplies," he said. Frady said late Wednesday night or early Thursday morning there was a water main break. He said he thought it was unrelated to the storm. The facility still had enough water pressure, Frady said, but drinking water was dropped in as a precaution. When he was asked when access to the area would be restored, Frady said he was unsure. He did say that the staff members who stayed in the facility during the storm had been relieved by other staff members. Frady said the only structural damage to the facility that he had heard of was one broken window. Nearly 40 percent of all state mental health patients live at the facility in rural Chattahoochee. Some of the patients are civilly committed, and others either have been ordered into treatment there by a criminal-court judge or are facing criminal charges. According to state emergency officials, there was no security breach at the facility. Correction: A previous version of this story incorrectly said that "Florida State Hospital in Chattahoochee…was left with no way to communicate with first responders or the outside world." The hospital had emergency radios.